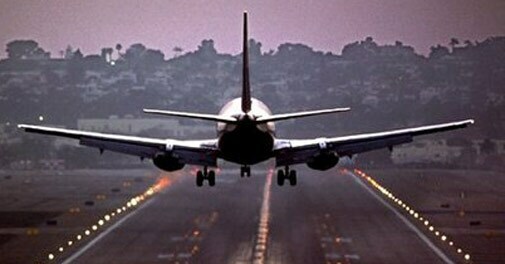 Ambitious Vijayawada property developer steps into aviation, aims to have 10 jets in air by end-2014. Just when the airline sector is staring at runaway operational expenses worsened by a weak rupee, a little-known business group from the Andhra Pradesh town of Vijayawada has entered the money-guzzling business. Its regional airline - Air Costa, first to be set up under the government of India's regional airline policy in South India - takes to air with two Embraer jets on Monday. The airline will be headquartered at Vijayawada, and have Chennai as its maintenance centre. This start-up comes seven years after the launch of Paramount Airways, which too flew Embraer jets. Air Costa has plans to invest about Rs 610 crore over the next two years. The airline has taken delivery of two E-170 jets and, will add two more E-190 jets in November. In all, Air Costa plans to have 10 E-190 jets by end of 2014, and take the total fleet size to 25 by 2018 in phases. "We are adopting an operational strategy wherein we would be focussing mostly on under-served and lesser-competitive routes," Air Costa Chairman Lingamaneni Ramesh said ahead of the launch. Air Costa will have unconventional city-pairs connecting tier-II and tier-III cities, looking at routes not served by the established carriers. The start-up will operate services to Hyderabad, Chennai, Bangalore, Jaipur and Ahmedabad and later to Visakhapatnam, Goa, Madurai, Thriuvananthapuram and Mysore. Two Embraer jets have already arrived from the ECC Leasing Company, and the third one is expected from the GECAS soon. The privately-held Lingamaneni group, founded in 1983 by the first generation entrepreneur L.P. Bhaskar Rao, has tasted success in real estate and construction business. The group has completed many real estate projects in Vijayawada, and is currently building a satellite township project in an area of 32 million square feet with an investment of close to a billion dollars, according to media reports. The group's website says it also has a presence in renewable energy, health care, education and hospitality.